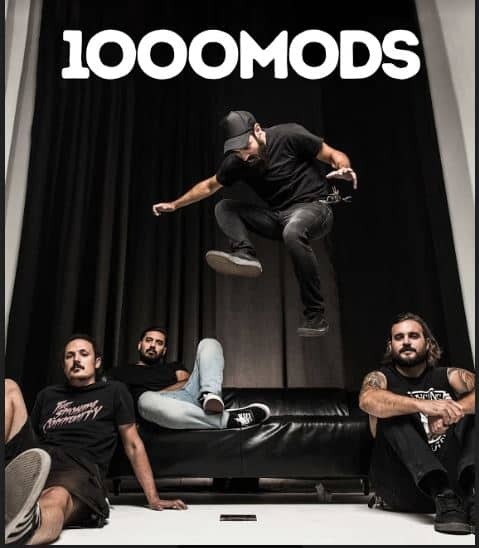 HomeScene NewsScene News: Greek Rockers 1000MODS add extra shows to their First Ever Australian Tour! 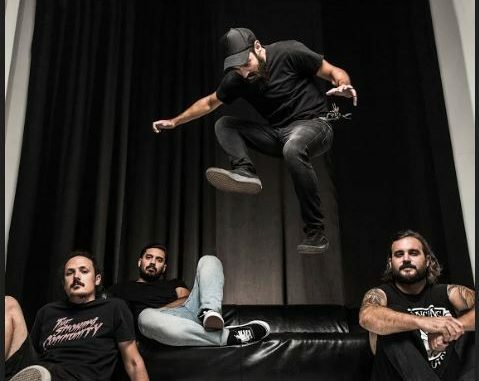 Tagged by International music mag The Obeliskas being“at the head of the pack of European heavy Rock and Roll”, Greece’s1000modsbring their psychedelic onslaught to Australia this April, touring nationally on the back of aMojo Burningfestival appearance. Having risen from smokey basements to packed arenas, leaders of the now-legendary Greekheavy rock scene1000modsofferinspired, powerful anduniquely freshtunes havingsharedthe stage with some of the world’s largest acts includingThe BlackKeys, Mastodon, The Black Angels andGraveyard. The last few years have included a slew of sold outvenuesacross Central Europe, Scandinavia, Britain, the US, Canada and Mexico on the back of their thick and heavy analogue sound and relentless touring schedule. Described as having live‘flawless flow’(Soundgaze),the Greek Stoner lordshave become known for remarkably passionate stage performances and soccer stadium-likecrowd sing-a-longsamidst internationalfestival appearances at Hellfest Open Air, Desertfest (Athens, Belgium,London and Berlin), Up in Smoke, Riff Ritual and many others including a recentsold outhome show (3500 capacity) at renowned Athens venueTheatro Vrachon (See Photo Here). 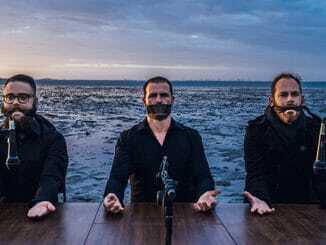 This is aRock band on the verge of international stardom who are widelyconsidered to be thenew-found power of the European (some say “worldwide”) heavy rock scene. Album releasesSuper Van Vacation,Vultures(2014) andRepeated Exposure To…(2016) have netted the band one hundred thousand fansand kudosworld wide, chalking up over 30 million track views on YouTube alongsidetags such as“Album of the year”and“aglorious, heavy masterpiece”(Heavy Planet). 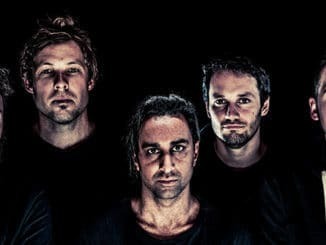 The2019 Australian Tour, covering shows in Canberra, Sydney, Melbourne,Brisbane,Geelong, Adelaide, Perth and Scarborough,marks the first time the band have ventured onto Australian shores, atask not taken lightly by the band or promoter Christian Tryhorn of Beats Cartel who says of the upcoming tour“We’relong term fans of1000modsand are excited to now be in the position of bringing them into the country for the first time. Their raw power andriffageis some of the best in the world, each album gets better with every listen! Can’t wait to show the people of Australia one of the best live acts in Europe”. 1000modswill also be a part of an upcoming feature length documentary entitled ‘Greek Rock Revolution‘, a tale of the rising Rock scene in Greece amidst nation-wide economic turmoil. The documentary will be released in March and also features Tuber, Naxatras, Puta Volcano, Planet of Zeus and more. 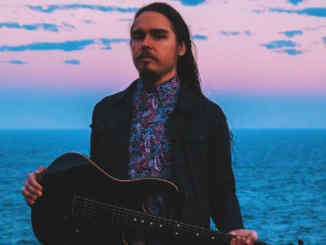 Heavier than life, psychedelic, trippy, hauntingly melodic and dangerously addictive, catch1000modslive in Australia for the first time ever, travelling East toWest forBeats CartelandHEAVY Mag. With tour help fromYoung Henrys,Maric Media,Orange Amplifiers,The ObeliskandTuff Cuff Records.